Construction on the redevelopment began in September 2014. Creating a Modern Learning Environment was a priority. 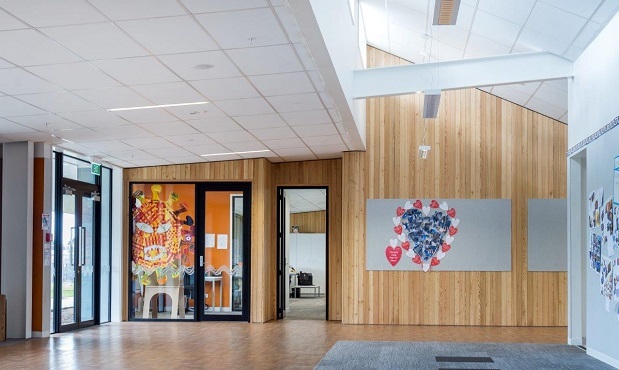 The first stage of the build entailed constructing a new early childhood education centre, innovative learning environments and administration areas, featuring flexible spaces to enable diverse learning opportunities. Staff can open up the spaces and connect classes to teach collaboratively, or create smaller zones for one-on-one or small group learning. This arrangement allows teachers to plan and work collaboratively to provide engaging programmes of work. Murupara is a small town with a predominantly Maori population, situated in an isolated region on the banks of the Rangitaiki River in the Bay of Plenty. 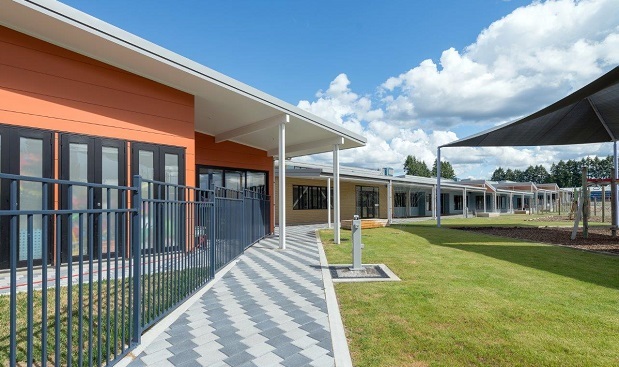 The local primary and high schools had declining rolls, so a decision was made to merge the two and use the existing primary school site in town to build the new Murupara Area School, catering for Years 1 to 13. With most students identifying with Ngati Manawa, the site also incorporates a Kohanga Reo. 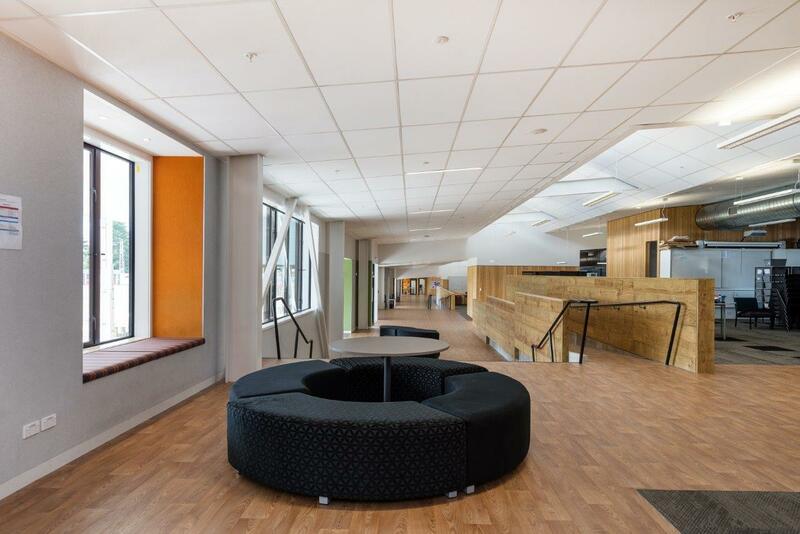 Comfortable students are better able to focus and learn, so learning spaces are temperature controlled, and incorporate optimal lighting, ventilation and acoustics. Located within an exotic forest plantation, the School has a modern ventilation system to filter out pollens, and sheltered outdoor spaces for use year round. The second stage of the Murupara Area School upgrade – completed in April 2016 – includes specialist technical teaching spaces and a full size gymnasium in partnership with the Whakatane District Council. The values, tikanga and reo of Ngati Manawa are highly evident throughout the school. Taking inspiration from local Maori legend, the main building symbolises the lifecycle of an eel. Tamariki enter the lower learning commons as first year students and make their way up the social learning commons to the intermediate and eventually senior commons, as they grow from small, vulnerable students (baby eels) to strong independent learners (adult eels). A key factor in empowering local young people, education is prioritised by the community as a chance to create something new and to revitalise the community of Murupara. To this end, the Ministry of Education, RDT Pacific and architects Darryl Church and MOAA, engaged the local community, undertaking a progressive planning process to ensure the needs of stakeholders were met. These needs then informed the design process. Ensuring project continuity was crucial throughout a complete change of Board of Trustees and the appointment of a new Principal just as the build started. Regular communication and meetings during this period ensured that queries were addressed and issues resolved. The RDT Pacific project team was led by John Meredith and supported by Kate McGovern, who were both selected based on their experience and proven ability with similar education projects. 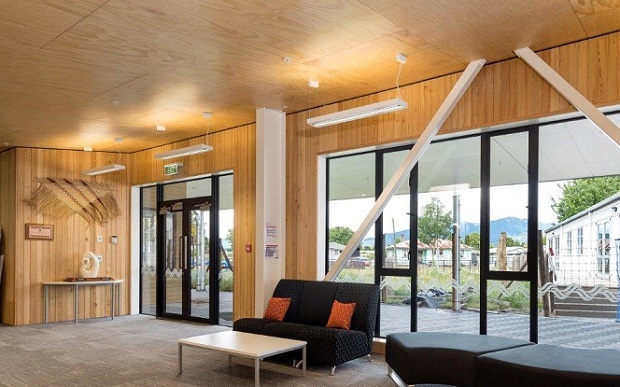 John has previously undertaken several new school builds, including Te Kura Kaupapa O Te Wairoa and Te Kura Kaupapa Patetere and has earned a reputation for working effectively with schools, the Ministry, consultants and contractors. RDT Pacific works closely with the Ministry of Education on all school projects to ensure that outcomes deliver value for money and function well for all end users. During this project, a proactive approach fostered open communication, anticipating and resolving potential issues and providing practical solutions. And key subcontractors were also prepared to go the extra mile. Given the site’s remote location, Stead Construction set up their own ‘camp’ for workers to be close to the site for the duration of the build. The community now has an education hub that’s also proving to be a great source of pride for all. Taking students all the way through their schooling years, coupled with the size of the community, means teachers know the students well and can provide high quality, individual attention. The final outcome has exceeded expectations. Principal Dr Angela Sharples is particularly happy with the way the new Murupara Area School environment is supporting her students’ education. “Having this new space is hugely transformational. It is a new way of fostering collaborative teaching and learning”.